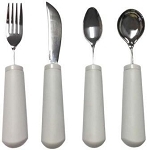 If arthritis makes grasping or using standard eating utensils difficult for you or a loved one, here are a variety of curved eating utensils that can help. 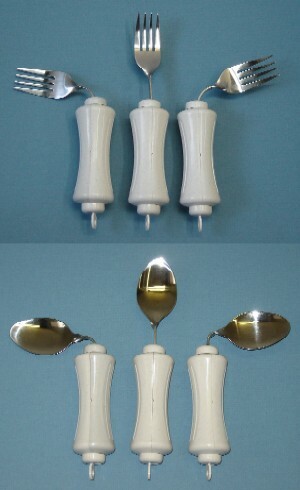 Spoons and forks that are curved or can be bent to any comfortable angle. 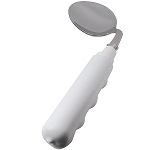 Non-slip oval handle more comfortable for arthritic hands to grip. 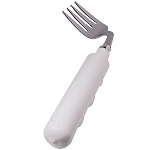 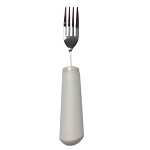 Bendable utensils with soft, built up handles. 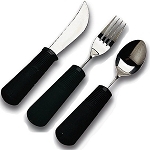 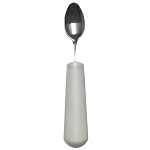 Bendable utensils for people with arthritis or reduced range of motion. 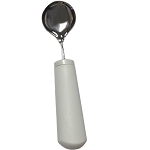 Ergonomically designed to fit the palm comfortably. 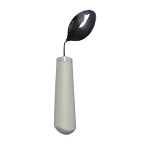 Nylon coating helps protect teeth and lips. 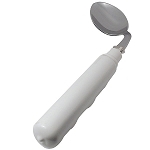 Bendable shaft for left or right handed use.